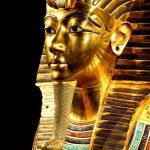 What is Chasing and Repoussé? 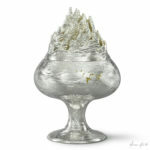 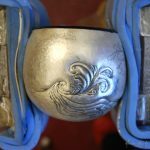 Chasing and repoussé date back thousands of years and are two of the key techniques which I love to use as a silversmith. 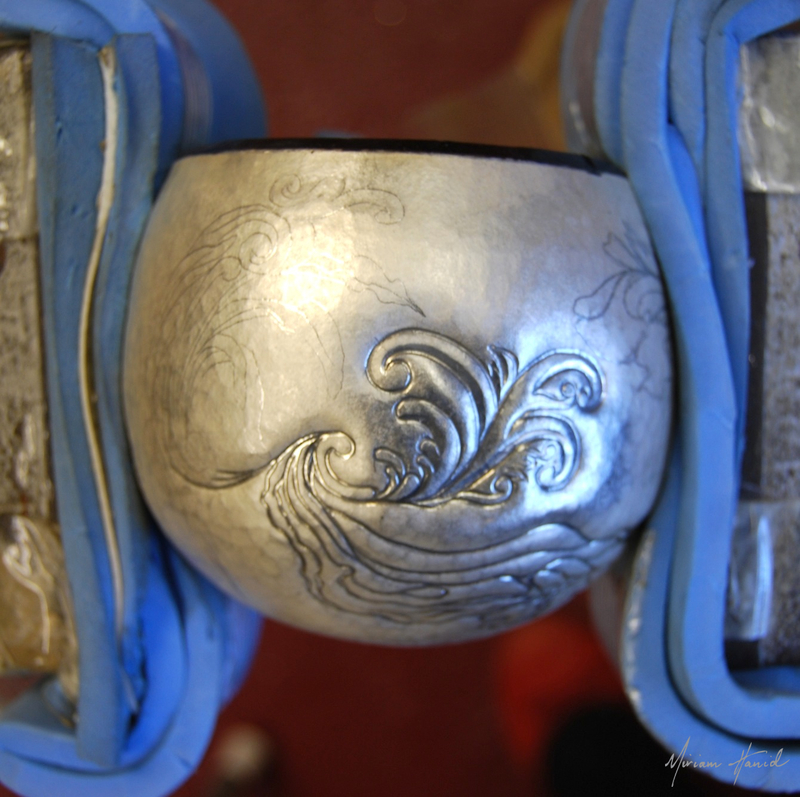 I find the effects that can be achieved aided by the somewhat basic tools of hammer and punch to be fascinating. 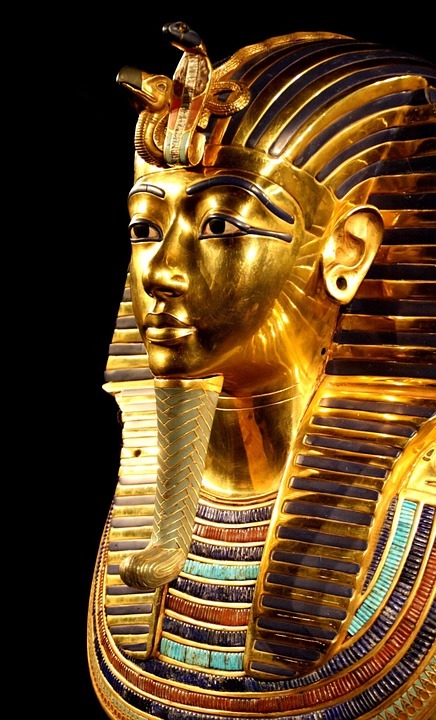 One of my favourite pieces created in this way is the famous gold mask of Tutankhamun, whose reign was thought to have lasted from 1336 to 1327 BC (source: British Museum). 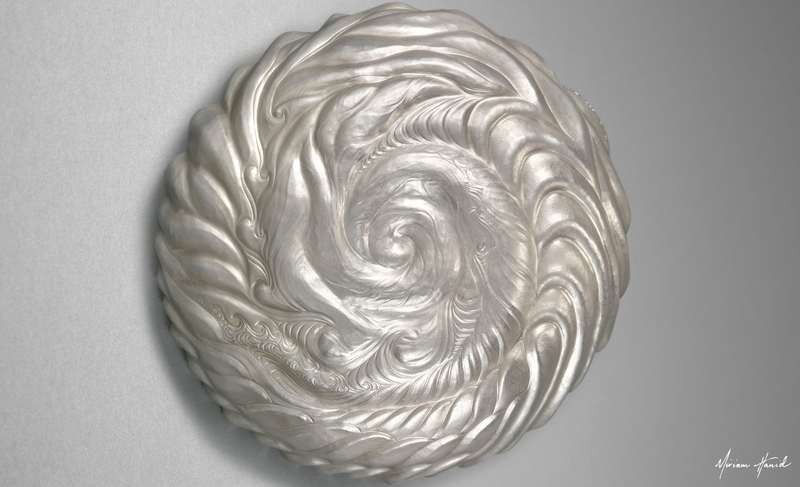 It is a fantastic early example and also demonstrates the extraordinarily malleable qualities of metal. 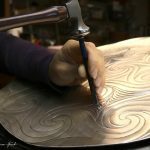 ‘Repoussé’ or ‘repoussage’, meaning ‘to push back’, is a process of forming or hammering metal which is set in pitch, to create volume and relief on the reverse side. 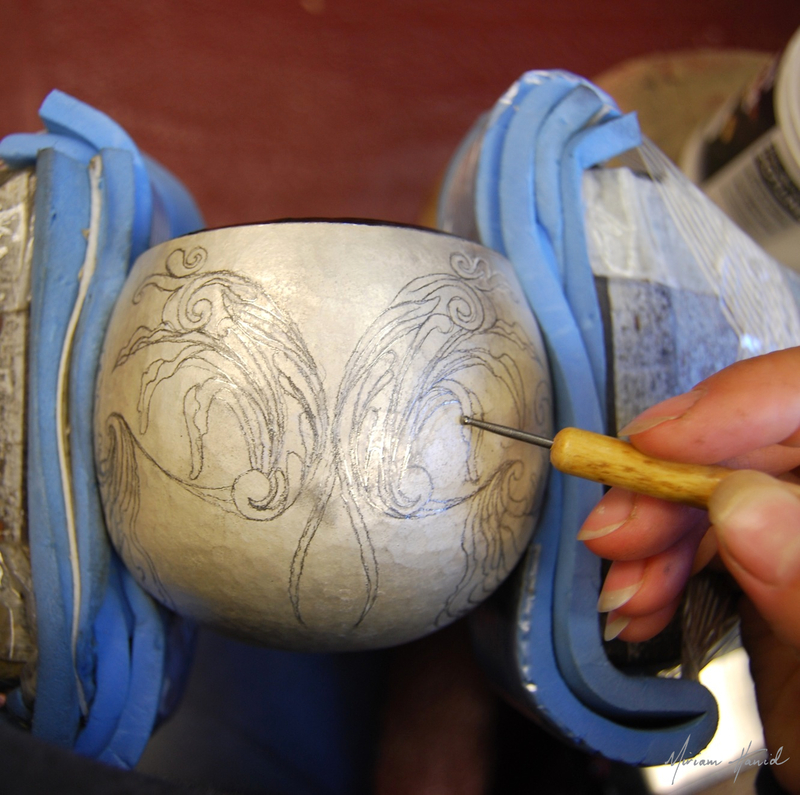 Pitch is a tar-like substance often made from bitumen or pine resin. 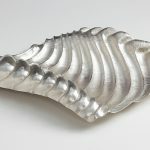 Chasing can be used alongside repoussé to add definition and detail to the shapes formed from the other side, often creating dynamic relief and striking contrast between the lower and raised areas. I sometimes draw pencil lines directly onto the silver as a guideline for the chased design and then make further adjustments as required. 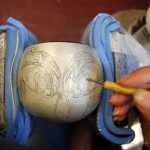 If the design is to be an exact copy of another drawing, I use white oil pastel to transfer it onto the metal using tracing paper and a pencil. 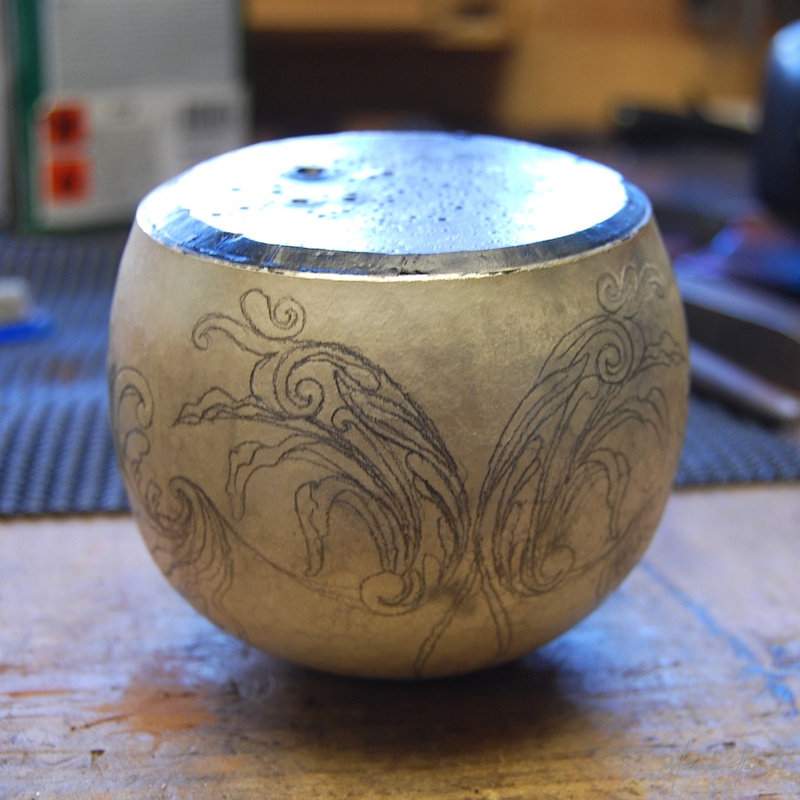 Having been chased with specialist punches and a repoussé hammer, a piece of metal can become satisfyingly ‘worked’ with a handmade, textured feel. 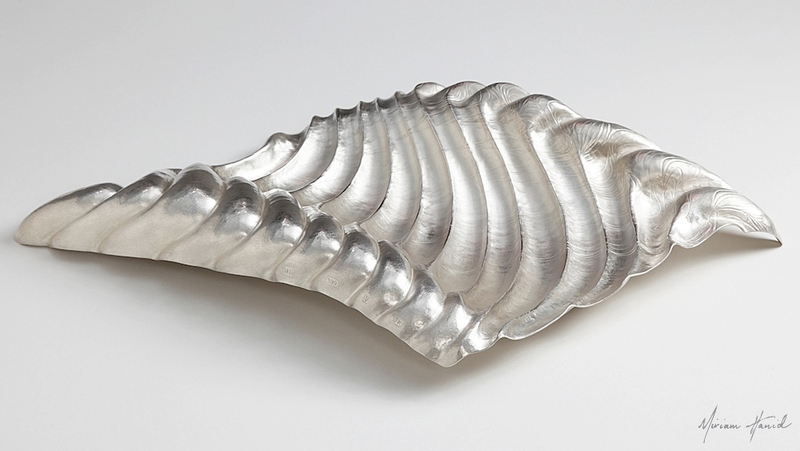 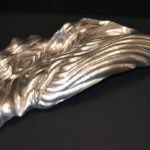 It is quite transformed, from a smooth sheet of manufacturer’s metal into a piece imbued with an individual quality. There is an element of surprise when the silver is removed from the pitch and the underside can be seen, exposing the reverse which has been altered through the chasing process. 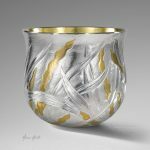 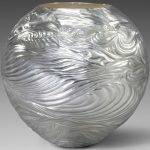 I particularly enjoy emptying the vessel of pitch, and seeing the subtle lines which have become imprinted on the inside emerging like a fingerprint of my work. 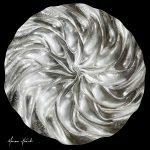 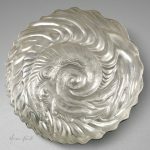 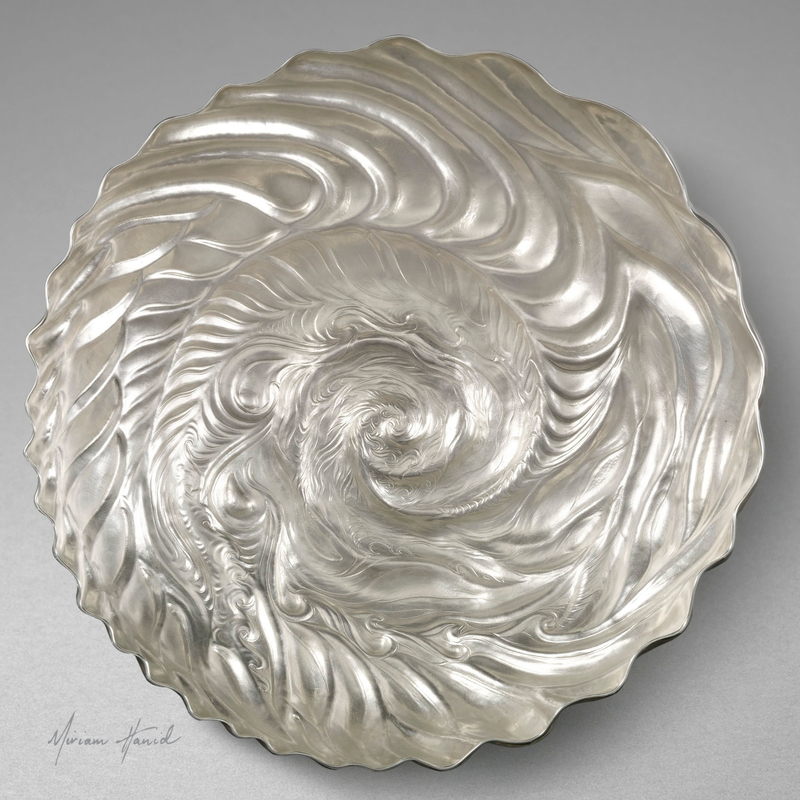 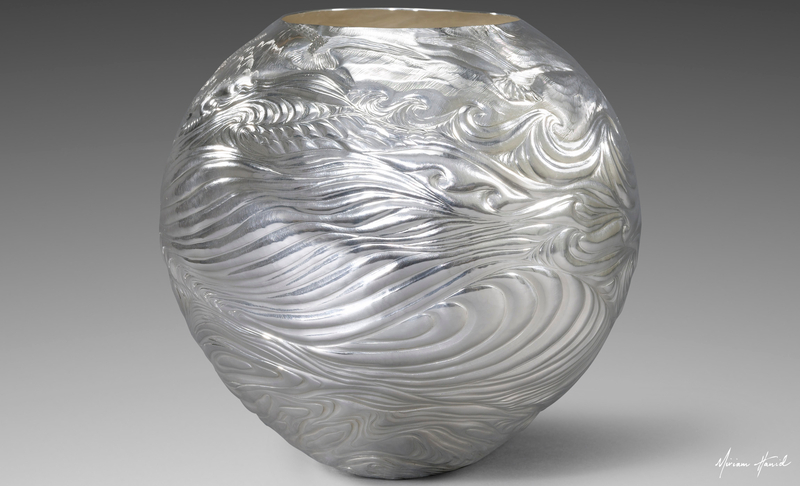 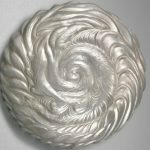 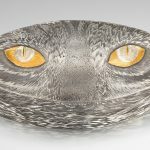 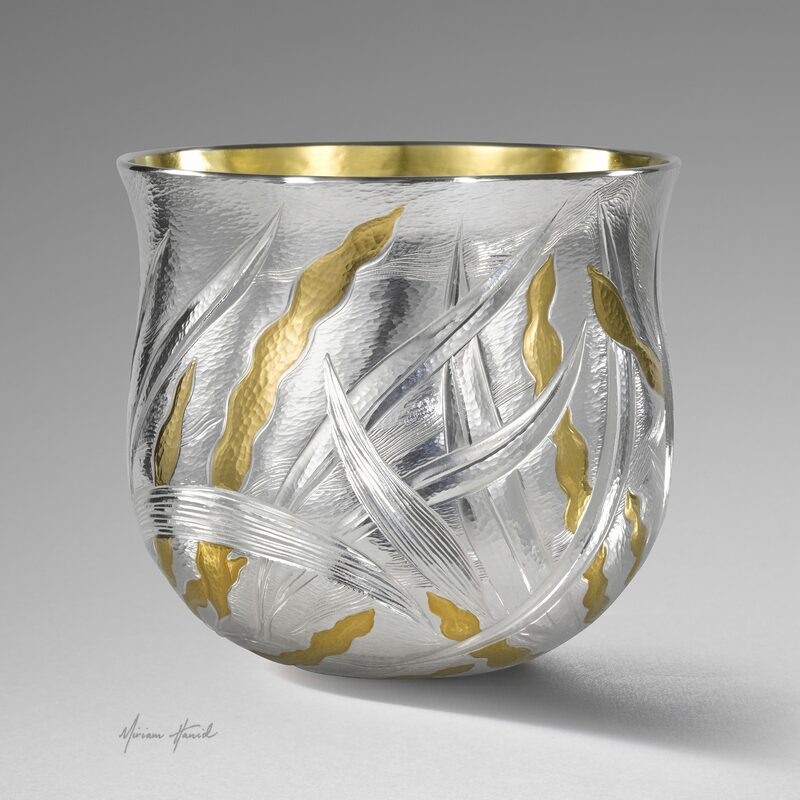 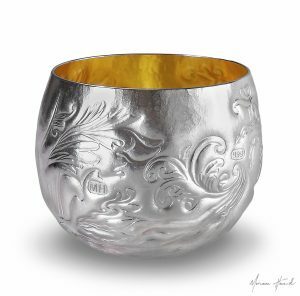 My approach has been to develop a signature style which is not based on traditional methods of chasing and repoussé in silver, but which often challenges these and pushes the boundaries of what can be achieved using these techniques. 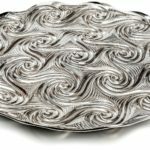 See more chased silver pieces in the gallery, or take a look at my other favourite technique of engraving.